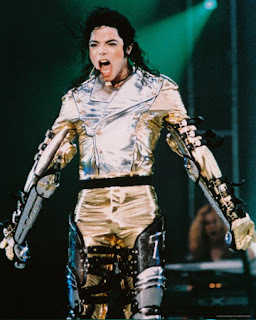 I was not a great fan of michael Jackson.But i did love some of his songs like 'They dont really care about us','Black or white'and'Heal the world'. His sound was magical and his moves simply awesome. Who can forget his moon walk? His personal life was one of loneliness and tragedies,not to forget controversial.The reports of the doctors who examined his body was shocking. The man who was hailed as the 'King of Pope Music' and who dominated the music world was found with a body tainted with thousands of surgeries and medicines. His body was reduced to a mass of bones and loose skin.Its the most horrible end to a legend of music who showed exemplory talent. The only thing that we can do is pray for his soul, let his soul find eternal peace.